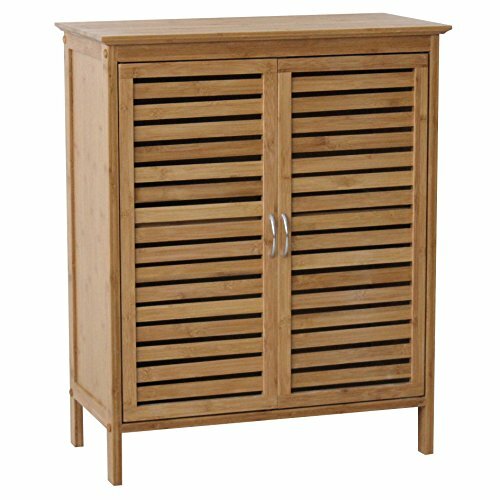 Attractively handcrafted of eco-friendly bamboo this storage chest will make your bathroom look and feel like a spacer this space saving storage solution keeps your towels readily available while keeping counter items stored and neatly organized. Open slat door with brushed steel handle provides extra concealed storage with inside adjustable shelf. Decorative and functional… also great for use in the bedroom, den, kitchen or laundry room. If you have any questions about this product by Gallerie Décor, contact us by completing and submitting the form below. If you are looking for a specif part number, please include it with your message.